On May 19th, 1885, the West Ham School Board's Truant Industrial School for Boys was certified to operate in purpose-built premises at Fyfield, near Ongar, Essex. The establishment occupied a twenty-acre site in the midst of well-wooded country. It accommodated up to 80 boys who had been committed for up to three months for persistent refusal to attend elementary schools. The first superintendent and matron were Thomas G. Hancock and his wife Maria. 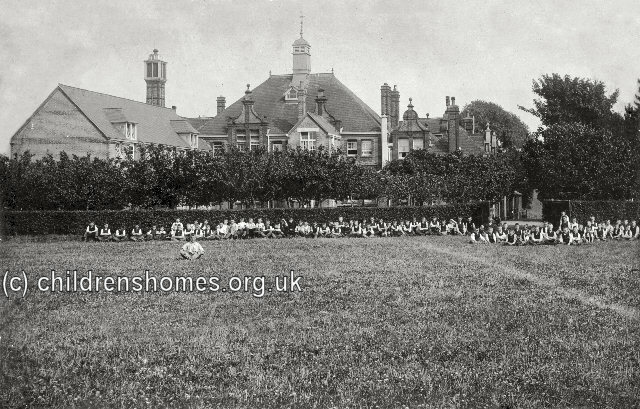 West Ham Truant Industrial School for Boys site, Ongar, c.1896. Boys at the School received classroom education together with several hours of industrial occupation each day. There was a large garden and some farmland on which the boys worked. They were also employed in all the work of the house, kitchen and laundry. A good shed was provided for wood-chopping and a class of juniors helped repair the boys' socks etc. The School's water supply was obtained from wells and the storage of rain water. About 20 boys at were engaged in working the manual pump for two half-hour sessions each day. Drill was carried out for an hour each day. No play was allowed and no treats or entertainments given. The School had a good swimming bath. In 1893, Ancel and Harriet Culling succeeded the Hancocks as superintendent and matron. From 10th October, 1907, the School operated both as a Truant School and as an 'ordinary' Industrial School. In 1911, a new wing was added to accommodate an additional 30 boys and to extend the facilities for manual training. In the same year, ordinary serge suits and jerseys were substituted for the previous style of uniform. The School formally ceased operation on February 2nd, 1925. Later that year, the site was reopened as West Ham Residential Open Air School for 80 'delicate' boys, with a girls' department being added in 1930. The School was closed during the Second World War and the site used for children evacuated from hospitals and children's homes in London. 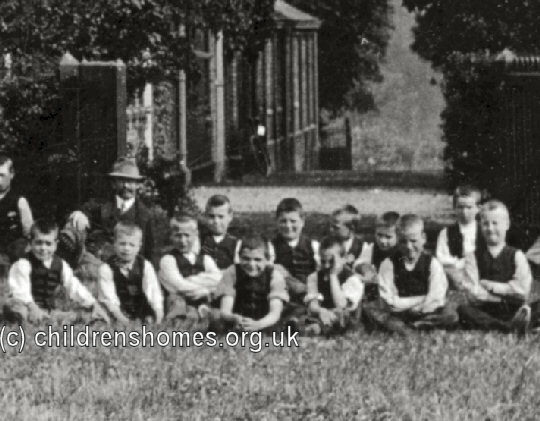 After the War, the School resumed operation but now acting more as a children's convalescent home until its closure in 1956. The premises re-opened in 1958 as the Fyfield County Secondary Boarding School, initially mixed but later becoming boys only. In 1980, following a merger with Hockerhill and Elmbridge boarding schools, the premises became known as Elmbridge Boarding School. In 2001, the buildings were converted to private residential use. Former Fyfield Truant School for Boys.